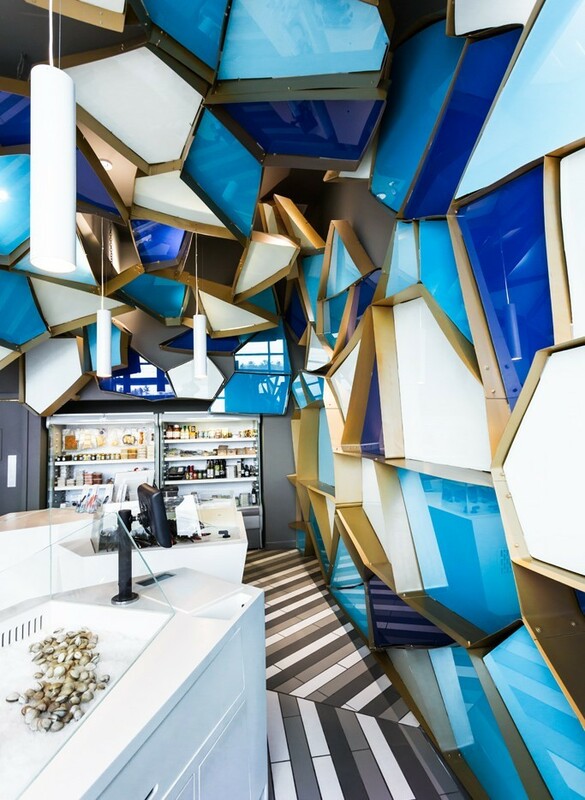 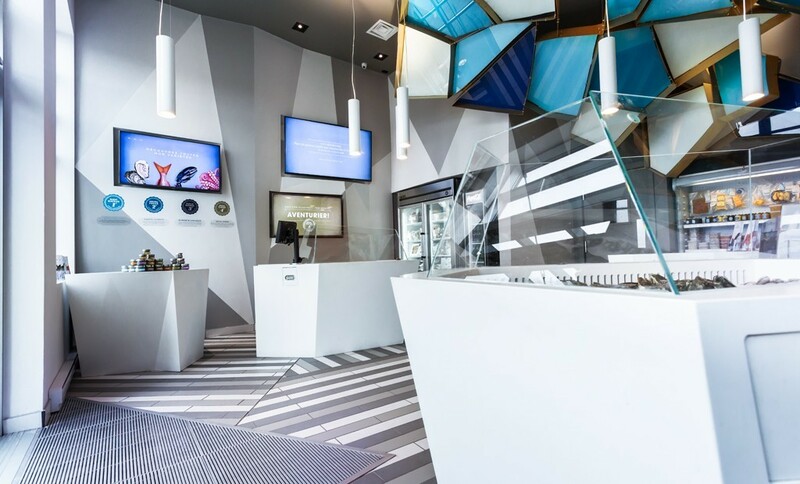 The Némeau fish shop located in the city of Lévis is a winner of an international interior design award in Las Vegas, in 2016, and an interior design award in Montreal, in 2015. 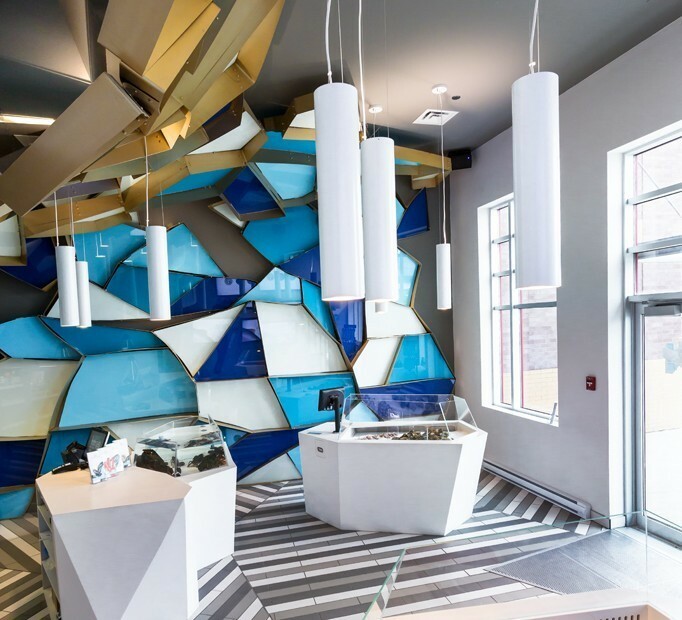 The commercial interior layout illustrates the commercial strategy of the client. 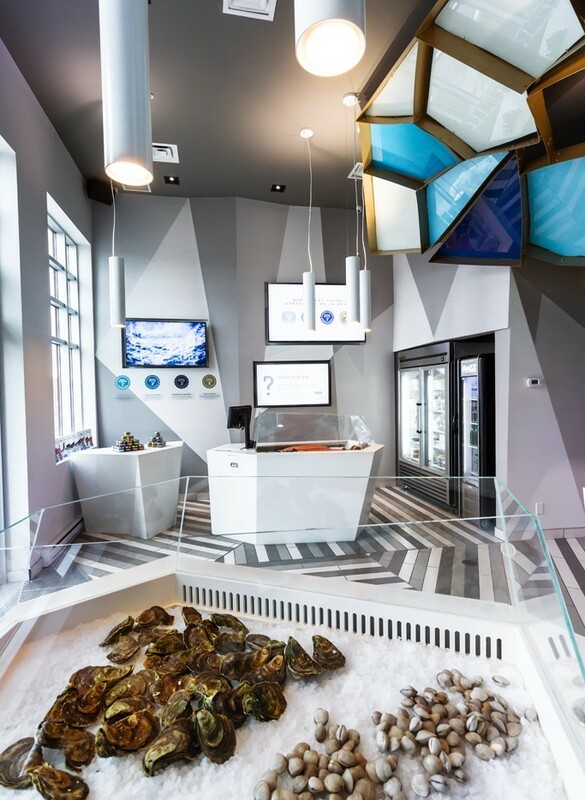 Our design is based on the theme of Jules Verne’s Twenty Thousand Leagues Under the Sea, from which excerpts have been transposed into architectural elements of a vintage spirit, in particular, the reflection of light on the water. 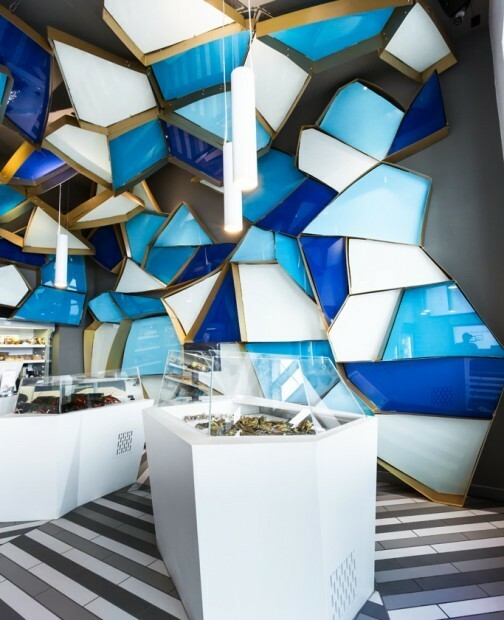 Designed as a promenade within the 430 sq. 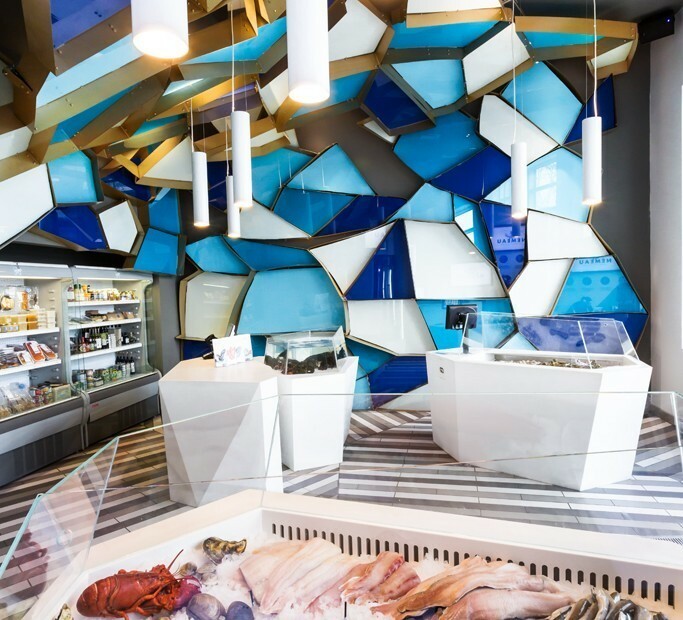 ft. shop area, Némeau is an invitation to discuss with the staff and discover the variety of seafood products offered in amazing custom displays. 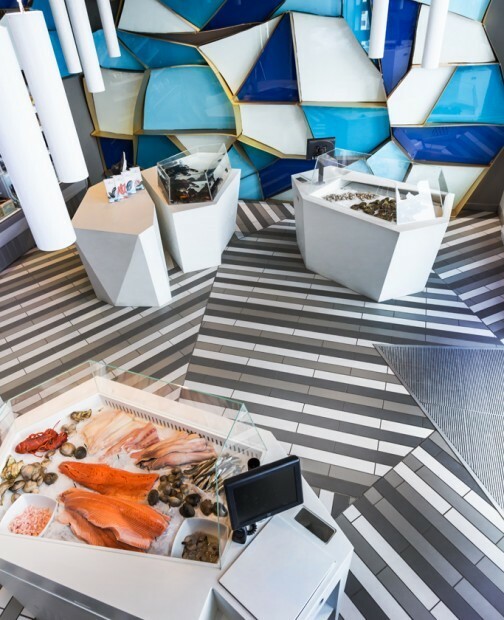 Manufactured in Corian®, they are made to evoke jewel boxes and are covered with asymmetric tops.